Blending the fantastical with universal truths about family and heartache, these stories show a wild, unruly America of the mind.. These stories occupy the space between dark realities and the fantastic leaps of faith people make to survive. A father seeks a way to deal with the unexpected death of his daughter, a heroin-addicted mother kidnaps her son to teach him about beauty, and expectant parents wrestle with doubt. But beneath the human struggle is prevailing wonder—a public pool with miraculous properties, a church that requires its parishioners to carry the plasticized hands of corpses, a dog at a gas station with insight about a man’s marital indiscretions, and a worldwide epidemic of ghosts. Connecting them all is the journey: people traveling in search of solace, insight, clarity, and purpose, gathering up their own lives into discernible pieces of fact and conviction in the hopes of getting it right. 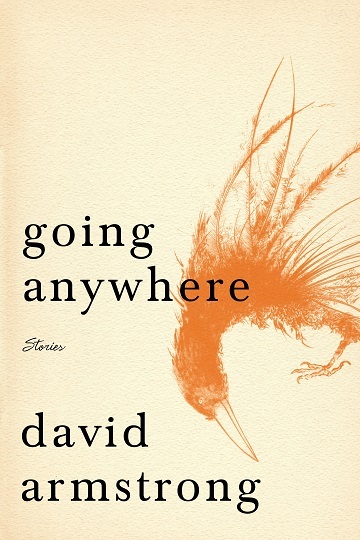 David Armstrong’s stories have won the Mississippi Review Prize, Yemassee’s William Richey Short Fiction Contest, the New South Writing Contest, and Jabberwock Review’s Prize for Fiction, among other awards. His latest stories appear in Narrative Magazine, The Magazine of Fantasy & Science Fiction, Best of Ohio Short Stories, and elsewhere. His story collection drive/memory, won the 2013 Emergency Press International Book Contest. He was awarded a Black Mountain Institute PhD Fellowship in Creative Writing (Fiction) and served as fiction editor of Witness magazine before receiving his PhD from the University of Nevada, Las Vegas. A lecturer in creative writing and literature at Gonzaga University, he now lives in Spokane, Washington with his wife, Melinda.